CA-68 was assigned 32/16D in 10/11/43 ComServPac letter #0937 to the BuShips, and was sent 32/16D on 4/6//44, but by 10/18/44 painted using 33/16D at Mare Island. USS Baltimore (CA-68) outside of Mare Island on October 18, 1944, wearing 33/16D. The vertical colors are pale gray (5-P), haze gray (5-H) and navy blue (5-N). Photo source: NARA BS 74792. Baltimore is shown again from the starboard outside of Mare Island on October 18, 1944. Photo source: NARA BS 74791. 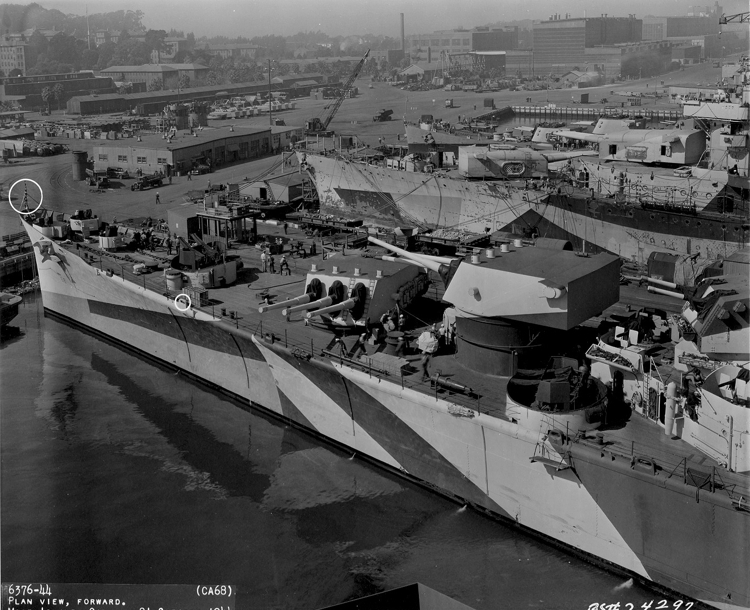 Baltimore again in a closeup of the bow area at Mare Island on October 21, 1944 wearing 33/16D. Photo source: NARA BS 74297. 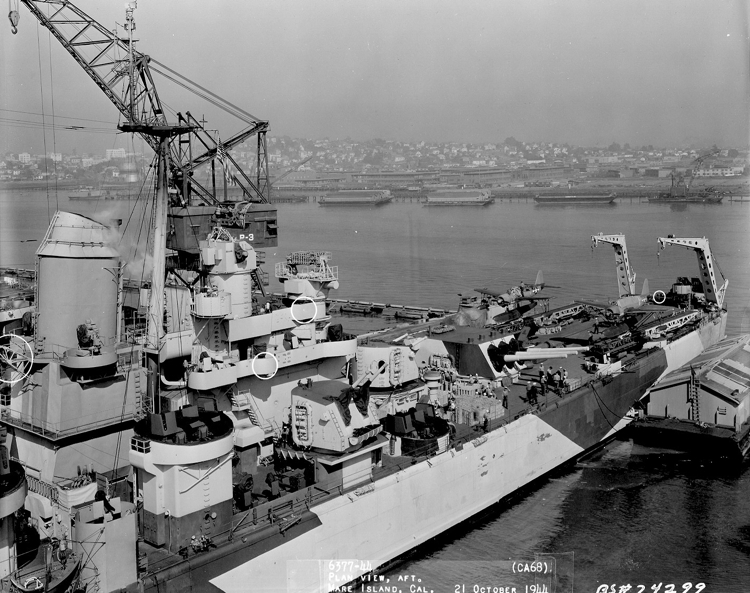 Baltimore again docked at Mare Island on October 21, 1944, wearing camouflage 33/16D. Photo source: NARA BS 74299.